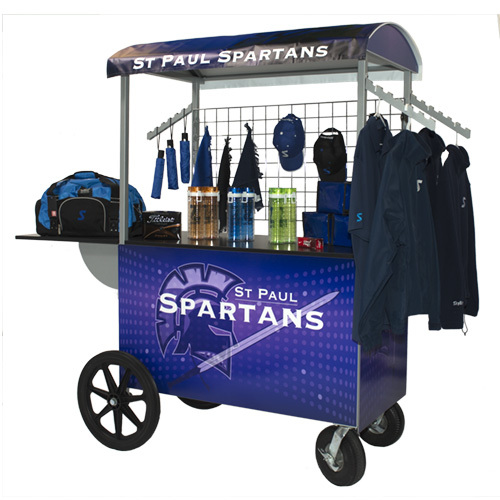 Expand the walls of your store with our indoor/outdoor mobile cartes. You can drive and park them anywhere capturing last minute impulse purchasing by event attendees. These cartes are customizable which will enable you to display merchandise in any configuration.